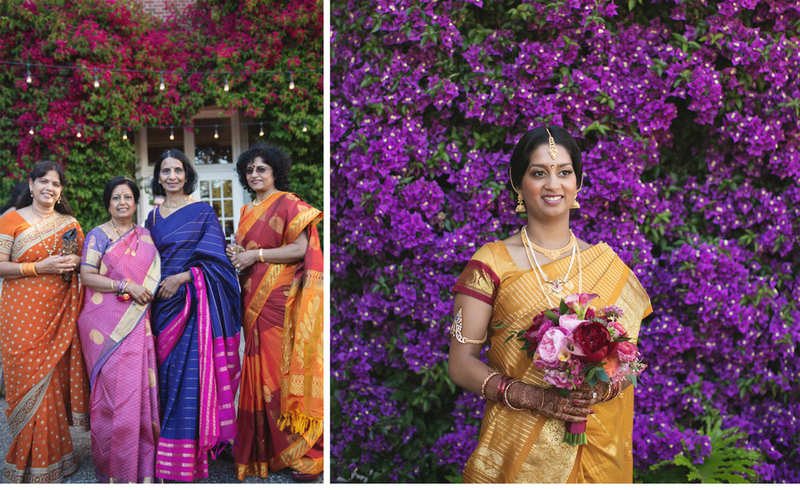 Aruna & Dave chose Kohl Mansion for their Indian fusion wedding. To stay on budget, we had their favorite Indian restaurant provide dinner, while dessert was a mix of treats from their favorite SF bakeries. For décor, we focused on creating atmosphere through lighting. We also brainstormed beautiful but simple centerpieces that alternated florals with intricate lanterns.